Birst Review: "Solid tool with opportunites to become even better." Birst is our enterprise-wide BI visualization and distribution platform. Our company has 4 different revenue models ranging from big buy advertising, subscription based advertising, affiliate / performance based revenue as well as (digital) product driven revenue. Nearly every department here uses it for something, though it does not yet solve all problems within most departments. Currently we are able to report and distribute sales numbers to individual account executives as well as provide sales management views across as well as revenue and user across our B2C business lines as well. It solves for reporting automation and some visualization as well as distribution. For end users, Birst has a friendly UI that allows them to naturally interact with reporting data via web browser. For properly modeled data, the visualizer tool makes it easy do build quick visualizations. Surfacing data on dashboards with global filters allows users the flexibility to view multiple metrics with the same lens. Data modeling is a particular challenge for both novice and experienced data engineers. The ETL tools are insufficient to meet even 1/2 of our needs, and as a result we have a separate platform for data warehousing and use the back end of Birst solely for data exploration projects. There are occasionally delays in the UI when applying filters that often lead users to think that something is broken when in fact they just need to wait a few more seconds for the UI to change, even to let them know that it's still updating. Customer service, while it has improved, is still poor relative to other vendors that we work with. I often feel that both our CSM and our support technicians are defensive and try to push the responsibility for sub-optimal experiences back on us, and while it sometimes *is* the case that it is an issue on our end, more often it is not and even when it is we shouldn't FEEL like that. None of our other vendors take this approach, and even when the problem is on our end, they support us getting through it in a much less defensive way. Birst is very appropriate for companies that have a low to mid-level of technical sophistication with data preparation, but have a high need for visibility and distribution. I think that it *can* become a good option for mid-sized companies for whom large scale BI implementations like Cognos or MicroStrategies are not practical, or in our case, even relevant, but it can be frustrating for those who have a high level of technical experience with data warehouse development as the tool is very specific and has a fairly steep learning curve, and the technical support resources don't always seem to have the appropriate level of expertise to deal with advanced users. Review: "Birst is the best tool we found to meet our needs, but has some significant issues"
We use Birst in addition to a separate data warehouse to ingest Google Analytics, event tracking, operational and sales data. We build reports that are distributed across the company by giving everyone a Birst account and having them log in to view relevant dashboard. 1. The Data warehouse team has modeled the data into a data mart in the data warehouse. In this case we use a Live Access connection to create a report. 2. The data warehouse team has not modeled the data in the data warehouse yet, so the data is ingested with Birst Connect and then transformed with Birst ETL. The data is reloaded through Birst Connect by kicking off automated Windows Task Scheduler. Terrible documentation and training resources. Sometimes not enough documentation, sometimes it is WRONG! Often we are told to post our issues to the Birst user forum, as if we should be able to figure out our own problems rather than Birst troubleshooting their own product. Sometimes when there are bugs we are told they will only be addressed by voting on them as feature requests, not addressing the bugs. Some feature requests are years old. When using Birst Connect there is a lot that can go wrong on the Birst side of things completely out of our control, and then we are waiting on technical support to resolve. In particular the space can get "locked" if we try to process while it's already processing. I've also experienced where a staging table was deleted in the user interface, but not the backend of the tool, so it failed until the support team manually removed it. Birst technical support is very weak. They often do not answer the phone, and they always ask to go on a call with you after submitting a ticket, no matter if we've provided extensive documentation within the ticket. The ETL features are incredibly hard to use, though very powerful. As someone who has an understanding of database theory I found the fact that the training refused to teach to "primary keys" and "foreign keys" and "facts and dimensions" and instead made us learn a whole different terminology of "levels" and "hierarchies" very confusing. Processing is entirely mysterious to us. There's little explanation of what is happening when it is processing, which makes it hard to troubleshoot when things go wrong. Terrible or non-existent error messages. When a scripted source fails to execute the log in the scripted source doesn't even generate an error message. We've also found that the error message "data format is not correct" doesn't actually mean that, but can mean a whole bunch of other things related to the model. Birst does not allow snowflake data structure more than 2 levels deep. This is a problem as our data warehouse is a snowflake, so we always have to flatten our tables. Even though the visualization tool makes nice views, it is not as robust as even years old versions of Tableau. In particular I've found I often export my data out of Birst and into Tableau when I want to visualize two or more attributes. Birst sends its users to the user Forum, but half of the issues on there have not been resolved. There's a person whose job it is to reply whether the users have figured out a solution. Why is this our responsibility to figure out their tool? Very, very little support for using Live Access to connect to data. Some of the Birst support staff don't even know how to use it. It's not like Tableau, it's a whole BI platform to combine data from lots of sources. It does that better than a lot of other tools and has a good method for distribution. The learning curve is VERY high. We use Birst as a value based SaaS platform for our contact center customers. We have more than 100 customers with 130 users on our Birst appliance. They get a BI platform where they can enhance the value of the Miralix contact center solution. The multi-tenant capabilities of the product is really great. Its relatively easy go get started with the product. The flow of new features and improvements are constant. The customer success program is good. Its fairly complex for "normal" users to master/use the product (normal being supervisors, IT professionals etc.). The administration part of the product could be better, easier to use and manage. If you need a end-to-end BI product with a lot of features and capability for making custom reports, Birst is great. However your company needs to be of a certain size and there are a lot of other similar products out there that are at least as good. An important note is to try different products, really be clear on that you need and not choose Birst lightly. User Review: "Birst almost live access"
Birst is used as a delivery mechanism to display data to our client. We collect data on mobile device usage patterns, as well as analyst forecasts across many technology areas, and use Birst to visualise this data via dashboards that clients access from our website. We find the performance of the dashboards is sometimes very slow - and has been noted by customers. a key question would be to confirm the acceptable delay and build the dashboards around that kpi. User Review: "Birst - 9 years after we met"
Birst has been used across the organization (SCM & Operations teams ) as well as embedded in SFDC (by Sales team) and exposed as a portal to our partners. We have built different dashboards and alerts that help us with managing our SC business as well as provide order and shipment information to our sales team and partners. It is a very good tool in general. Probably, works better when you refresh your data once a day than when you do it very often (every 15 min or less). Review: "Birst used to meet an analytics requirement for our clients"
Birst is used as an analytics platform for our clients in addition to our existing ERP. Our clients had a need for an analytics solution and Birst was the most suitable platform that met our requirements. On top of data from the ERP, we are networking with data from other sources and bring them together in a single, unified product. Our client's experience involves interactive dashboards and emailed reports. 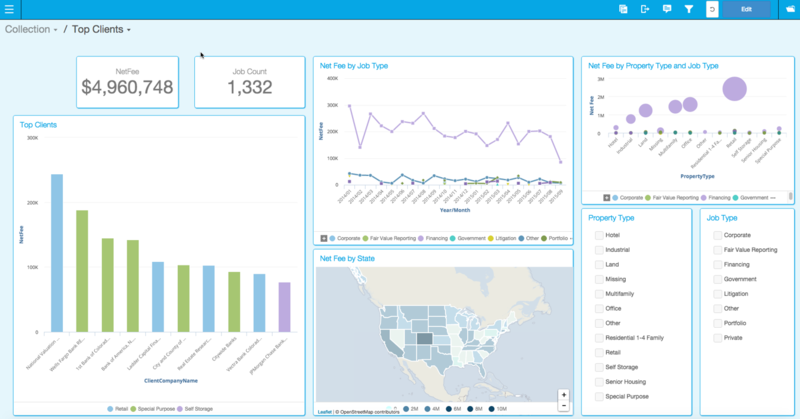 These dashboards are being used across our client's organizations. Intuitive report development. The drag and drop creation of reports is simple. More complicated queries are easy to generate. Birst is well suited for an organization looking for a cloud-hosted analytics solution that is contained within one package. It is able to connect to a very wide variety of different data sources, and has options for either light or involved ETL procedures, depending on the users experience with preparing data. As with any BI project, it would not be suitable for an organization where there is no dedicated team to maintain and manage the project. Birst has been used across the orgnainization. It is used for reports bookings. BIRST is ideal when you have small data to report and very systematic reporting. It is not user friendly when changes need to be made. Birst Review: "End to end BI solution for not complex scenarios"
We adopted BIRST to be used as the enterprise BI solution so all departments with enterprise BI needs would use BIRST. We use BIRST Cloud solution. Being a cloud solution the platform upgrades are not a pain point anymore. Once the data model is ready, building basic reports/dashboards are really straightforward. One single tool may cover all your business intelligence needs, from data ingestion to reporting so it can be cost-saving in terms of licensing. Building an analytical ready model does not require highly skilled developers. Lack of access to underlying database and use of non standard languages (propietary code) BQL and BIRST scripting. Very poor and not user-friendly administrative area. Big dependency on command line tasks (a few drag and drop) and lack of out of the box administrative views (reports and dashboards showing platform's response). Small community. Really difficult to find skilled resources in the market and few technical blog articles or videos available. Data ingestion capabilities do not scale. Being capable of ingesting data is an added value however, the solution is mainly based on SQL plus scripting (no out of the box monitoring capabilities, difficult to reverse-engineer...). Depending on the complexity of your company's data and business needs it may or may not be a good fit. I would say it can be a good BI ecosystem for small and mid-size companies with low complexity so they can have data ingestion and reporting capabilities with one single tool. If you need to integrate data from many different data source;, your environment does change quite frequently, you have many different business areas, the data volume you have is quite big... then it is less appropriate. "Birst Review from Advertising Point of View"
Used across the business to pull buying and selling prices for the individual clients, all the way to larger agency level. It is currently linked to other products as well, which is how it is updated for reporting each day. It allows for information to be refreshed on a scheduled basis where in which this means the data team does not have to spend their time consistently running basic reports, other teams can pull it off themselves. Allows individual teams opportunity to create their own individual dashboard, specific to their clients and needs. Splits our costs easily, with an easy to use filter option, making reporting much faster. In order to run Birst on a schedule, a ETL had to be created, this would be much more helpful. Lack of stability in the product, we often experience issues where in which Birst is delayed or down. This being rectified would be extremely beneficial across the entire business. 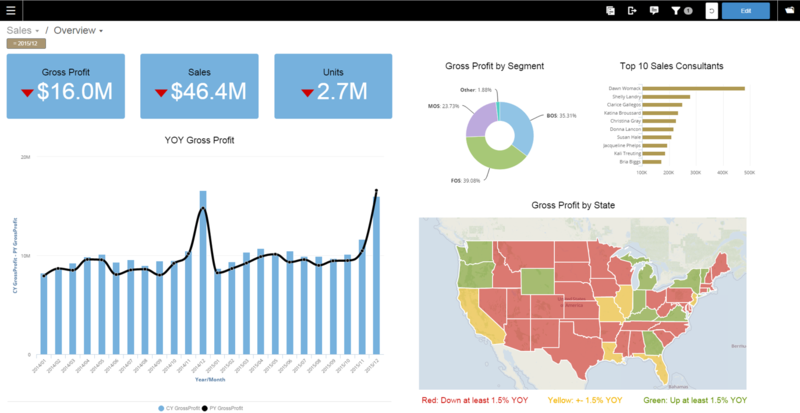 Well suited to provide an easy to use dashboard for non-data analysts. Allows for pulling off figures easily due to the filtering tool and being able to hold multiple different databases on one server. The small visualizations that it does provide are useful as well for our teams. For weekly reporting it is a useful tool, and is easily able to link to other software as well. For a software which needs to be frequently updated on a schedule it is not always very suitable. There are some instances where in which Birst is down and we are unable to produce reports on time or with the most recent information. User Review: "Birst, a data visualization tool"
We use Birst a number of different ways. The first is to help our customer visualize their data. 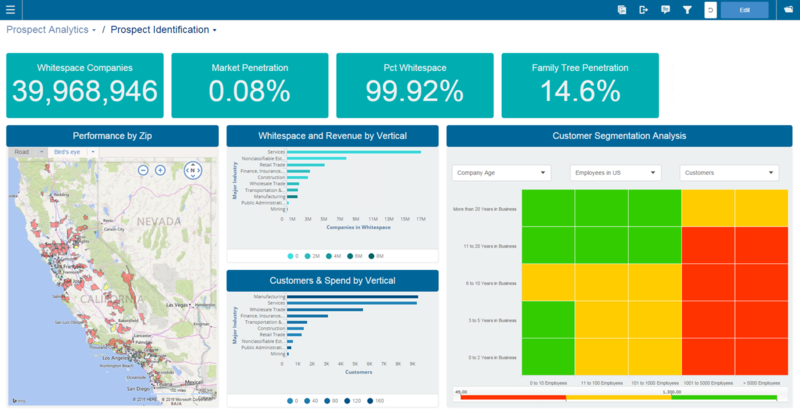 A majority of customers do not have the expertise to build these reports and visualizations so have done this for them. Our customers can use these reports to better understand their products, how they behave and function. We also use Birst internally to monitor how many devices have been deployed on our networks. We can monitor device transactions, API calls and much more. Within our organization, many departments use the Birst. From Sales, Customer Success, Product, marketing, and engineering. Birst is great for visualizing large amounts of data. They provide a number of different visuals to help better understand data. They are very good at descriptive data, however, if you would like to get into predictive or preemptive analytics, another tool might be better suited. User Review: "Birst in eLearning Sales and Ops"
We use Birst internally to analyze sales and marketing data to improve our marketing efforts (ROI on digital marketing spend) and to provide insights to our eLearning operations team. Our marketing team analyzes time series of marketing spend vs the revenue received attributable to that spend and adjusts digital campaigns to optimize ROI. The operations team extract student engagement data from our LMS and identifies students at risk of not completing their coursework in a timely fashion so that they can engage with them to identify issues and assist. Birst is an platform that provides connectors to some of the applications we use, but also allows us to bring in data from disparate systems to perform ETL and integrate all of the data for analyses. It makes no assumptions about your data, which is good for us, as we have a lot of customizations to many of our systems. Birst is making inroads towards a more modern UI. The Birst product uses it's own query language (BQL) which we feel has been implemented in different ways in different parts of the product. This makes learning the entire product more difficult than it ought to be. The Birst idea of grains and hierarchies is hard to get a foothold on. I don't think I completely get it yet. If you are looking for "Instant BI", Birst isn't that tool. If you want to roll your own solution using a single application to perform all of your ETL, reporting/dashboard, like to get deep in the weeds and have a lot of control of how your data is processed, this is going to make you smile. User Review: "BIrst - meeting challenges head on." We are an OEM of Birst. We embed Birst into our SaaS offering. Our SaaS offering is a mobile application that allows users to fill out advanced forms for data collection on activities they are performing during there work. We collect, extract and transform the data into a Birst data model and provide dashboards and reports to our users using Birst. We provide dashboards and visualizations that provide insights into Field Operations, Customer Satisfaction, Service Quality, Quality of Work, and Field Coordination for the purpose of root cause analysis across these "areas of analysis". Birst provides a very scalable and high-performance BI Platform. Setting up a new project "space" is simple, fast and easy to manage. Birst provides a deep and comprehensive ETL and query capability to perform most any data transformation. Building out Dashboards is easy. Building new reports with the Visualization tool is easy and powerful. More visualization options and smarter 'auto' generated views. More contemporary look and feel to the Admin portal using HTML 5. Birst is a great tool for supporting well-governed analytics data modeling. It has a good balance between the effort required by an IT/ETL specialist and business analysts and reports writers. Birst does not shy away from the challenges of data governance and stewardship vs the dangers of "quick and easy" departmental or project specific analytic projects where business rules are "invented" vs managed and data cube chaos can quickly become a big IT problem. User Review: "Birst for all"
BIRST is being used mainly by Sales, Finance and Accounting teams. We have embedded BIRST Dashboards into Salesforce pages as well as created dedicated dashboard tabs within Salesforce.com for single sign on. 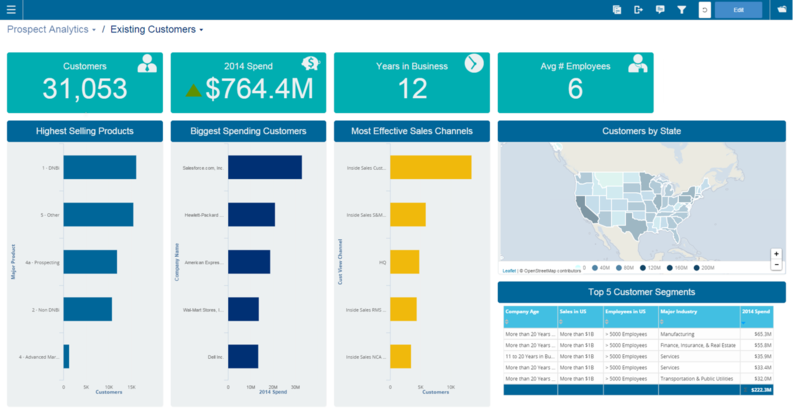 Dashboards and Reports built on BIRST mainly serve for Pipeline and Sales Analytics. Due to the nature of BIRST's unique offering (BI+Database on Cloud), we are able to expand and propose various solutions using BIRST. We are also constantly working towards migrating various silo solutions that are built on Excel/MS-Access into BIRST platform. Competitive pricing for the features that are offered: We use various two other BI tools for operational reporting and we always have challenges of expanding it for larger audience due to the licensing cost. BIRST scores very well in the pricing department, with 1/5th of the price compared to other tools, this is an easy decision maker to recommend BIRST. Being in Cloud: The strength of BIRST is that the product features that are made available but requires zero installation and administration. The overall support resources needed to maintain and manage the application has drastically come down. Ease of use and integration with other data sources: Senior management leaders need quite a lot of information, in an easily readable format without having to go into multiple places. With Dashboard 2.0 and Visualizer, the contents now can be presented very intuitively and visually appealing. Users can also subscribe for certain reports to be delivered at various intervals. With multiple data connectivity options, we have successfully integrated many core systems under one single reporting umbrella. Better MS-Office Integration: Almost all the Business users have invested in MS-Office products such as Excel, Word and Powerpoint. Currently there is very limited options available for taking data from BIRST and making it to work with these products. More export options would be a welcome feature among these users. Also the ability to connect to BIRST and refresh/download certain reports through excel would be very helpful. Powerful Report Designer: The current version of Designer and Visualizer lack certain features to create Complex reports. Few examples are, ability to create multiple tables in a report, link data from two or more queries and be able to show as one data, templates, free style reports rather than just using different bands etc. A light weight client tool for designer reports will help in faster turn around development time as the current web based interface is slow in designing reports for customized layout options. Custom forms / write ability: Dashboard 2.0 has evolved greatly. If custom forms can be created for users to enter certain inputs, this will make Dashboards even more interactive. Just a wish list. Live connectivity to Salesforce.com: This will be a very good feature to introduce especially for Sales team. We have been asked at least 1000 times if there is a way to make the data more live or real time. BIRST is very well suited for connecting and reporting on Cloud based systems. With some limitations and challenges, BIRST can be made as an Enterprise Reporting tool with very minimal cost. If someone is looking for a proven BI tool with low TCO, BIRST will be in Top 3 list. Birst is being used in multiple departments across the organization. Zalora is an eCommerce company with data touching all the departments. Birst is now primarily used as a data extraction tool for operational purposes, hence it's our primary tool for self-service data needs. Birst is also used by several departments for simple ad-hoc analysis. Birst is primarily used by the fulfillment center to know item or product level KPIs. Birst Live data and dashboards were used for a long time to track marketing campaign sales and discounts. Until recently we shifted to other platforms as we needed more real-time analytics. Traditionally birst sufficed most of the business problems and use cases, however due to the technological transformations we had to pivot our platform to other alternatives. Birst is a cloud based BI platform and hence all our data is hosted on the cloud platform. Zalora had lot of data users who used to query the database, all these loads where shifted to birst and helped our in-house databases to function smoothly and concentrate on other critical processes. Birst report scheduling functionality has been very useful for our company. reports are scheduled to emails to several operational heads to help them monitor action items and help to improve our operational KPIs. Birst has been flexible with the number of users who can access the tool. Most of the BI platforms currently charges companies based on the users who would use the BI tool. Birst is useful in performing time based KPIs such as YoY, WoW, MoM, Qtr-o-Qtr etc. There are several functions available which helps to perform time based calculation. Birst is very useful in performing aggregations at different level (and different dates) as its based on star schema. Birst provides snapshot functionality which is extensively used in our company to maintain the price logs and changes of all our merchandise. Birst being a cloud based platform is a both a blessing and a curse. as the data scales the performance of the tool deteriorates. although simple KPI reports can be quickly obtained, load intensive functions such as STAT or LET becomes hard to perform. The processing time for each space is not consistent. outside US servers the processing time is very time consuming. Our APAC spaces in birst gets updated data by afternoon of a working day. The scheduled reports might not come in time if the server is busy. We have had instance in which the scheduled reports would come a whole 24 hours later than the scheduled time. Birst is a very difficult setup for change. If the data in the company is changing constantly then birst is not the tool to be held with. after implementing best practices, we were able to bring down the processing time of birst live to max 25 mins. Birst designer are still in FLASH and the vizualiser which is in HTML5 lacks several critical functions like scheduling, notifications, saving expressions and managing them. this leaves the customer to use the designer module instead of the vizualiser module, however the support for designer has been removed without keeping in mind that the visualizer component is incomplete. Plug n play analytics is hard to perform unless you have certain technical knowledge. Data in flat files or excel files cannot be analyzed or visualized instantly like it can be done in Tableau or any other BI Platform. External Inputs cannot be made on the report. External parameters and data cannot be blended with the existing report. For example, if we had to increase our discounts by x% how much would our sales be? these kind of questions are hard to perform. The syntax of each module in birst is different. This shows lack of team work within birst. for example. In designer module the ubiquitous if statement is denoted by IF and in Admin it is denoted by IIF. this would lead to end user being confused. Certain important critical functions such as Report bursting, querying sample data and parameterized reporting are available only to the admins and not the end users. Most of the code change requests in customer service tickets are still pending to date and some of them are unresolved. Birst has quite a bit of learning curve as it has its own syntax. one would need to be educated to understand the different types of expressions which exist in birst. Usage tracking of birst is tedious which would require a separate space to be created just to track users. Renewal costs are expensive given the price per BI Platform is coming down in recent years with more and more products coming online. Birst is best suited for canned report or standard MIS reporting. For merchandising companies where the level of detail involves a lot of rows. Advanced analytics involving model building. User Review: "Birst at its Best"
Birst is used across the organisation and by our business partners. It is embedded into the product. It's a powerful tool which gives them the vision for their devices, how devices are getting used by their end customers, what properties and values are getting used frequently, the outliers and how to diagnose the problem, etc. Birst is a powerful tool for BI, it has various features built in which can be used directly by inheriting it instead of writing 1000 lines of code. It gives a way to demonstrate the numbers as various ways through its charts, which makes it easy for a non-IT person to see a trend. The access control gives you the ability to map users as per their use case and dataset. Some mathematical operations need real understanding of the functions like RSUM to get cumulative count. The UI has a scope of improvement. It can be made lighter. Product can be broken down into pieces and can be used as per the need, not all the features are useful for everyone. I would say when it comes to building a report with the data from the database and data from an Excel sheet, Birst makes it easy to blend both the data with ease to operate on the data. Birst should also focus on implementing new connectors for Spark, Scala and other streamlined APIs which can help in building a real-time dashboard. Review: "HarvestBI - Leveraging Birst to Improve an Industry"
We are reselling the Birst platform as an extension of our ERP (HarvestERP) and DSD (HarvestDSD) solutions. Sales departments are the primary users at this time. We have on the roadmap operations and finance in the near future. Our goal is a homogenous implementation platform that can be rapidly deployed across our customer base. The ability to create a primary space that can be cloned repeatedly creates efficiencies in our development efforts. We have a broad spectrum user base in terms of technical ability. Being able to extend or limit groups' privileges allows for optimal control with maximum flexibility. One of our primary objectives is to utilize cloud resources. Birst allows us to leverage the technology but does not require the infrastructure allowing Harvest Food Solutions to focus on the solution. Mobility is a major part of Harvest Food Solutions product offering. The current mobile capabilities are limited when dealing with single sign on and multiple domains. The conversion from Designer to Visualizer has created challenges in features not being migrated. Live Access is a key feature for us, but we want to be able to mix Live Data with Historical Data. That is currently not a simple process and requires multiple spaces. A simpler method is desired. Birst is a fantastic tool for quick decisions and big picture analytics. The ability to build dashboards and dashlets allows for significant amounts of data being presented on mobile or full-size devices. The challenge comes with deep analytics. While details can be provided on the dashboards or via reports, these are not always easily manipulated in the same as say an Excel sheet. It is embedded in our main UI web app in order to provide information related to metering. DB physical query generated by Birst does not always leverage the Exasol aggregation capabilities. - To provide self-service analytics to our customers, its embedding capabilities, self-services tools and ETL capabilities. - The platform has the disadvantage of its advantages, it does many things for you but not always to your liking so we sometimes had to bypass Birst and work with the DB directly for instance. We also faced challenges to make the platform fit in our context using streaming data sources and the delivery of a single solution into different customers environment. Birst is well suited for companies looking to automate pipeline /activity reporting especially for companies that don't have complicated backend systems. We have a "ninja" at D&B who's well versed within Birst which helps a ton. Development is performed by him / his team and we QA and develop new use cases. Birst is being used by Acxiom as a multi-tenant reporting system for Acxiom clients to review business and operational data from several databases and database types. Deployment for multi-tenant environments is much easier than others I have used. I like how easy it is to set up many dashboards and views that look standard and professional without a lot of formatting. The query speed is very good for large amounts of data if there are adequate aggregates set up. Documentation of the product in the help files is outdated and incomplete in many cases. Several features are only documented in the community because enough people have asked questions about a topic. The search functionality in both help and community is really bad. Support tickets take way too long to answer and the answers are often inadequate. I have never worked with a company that has so few people on the support team or that took so long to respond. This is my biggest complaint and one that may result in switching products if it is not addressed. The Data Flow and Manage Local Sources code can't be used simultaneously and there is no documentation as to why. When a use case comes up where you need to switch from one to another it causes big issues. Birst is well suited for multi-tenant, multi-database systems where data integration is important. It is also great for business users that don't have reporting development skills. "Pulse Analytics use of Birst - Review March 2018"
We selected Birst to provide Pulse Analytics a vehicle to produce and deploy our Analytics products. We offer Pulse Analytics to industries that require process analysis such as mining, manufacturing, construction and transport (for example). Birst allows us to connect to just about any data source and transform that data into meaningful, dynamic dashboards that allow our users to be informed and make decisions based on empirical evidence. We are also able to deploy our offerings very quickly due to the Birst architecture (such as being cloud-based). Single tool from raw data to end user interface. Cloud deployment means quick to get to new clients, and can be accessed from anywhere on almost any device. Powerful back end (Admin Module) allows for flexible data transforms and process flows. A wider array of user interface components (e.g. more chart types). More reliable servers that are providing the end user experience. Better documentation and user guides. Well suited to provide quick and easy development, quick and easy deployment, powerful data processing capabilities. Less well suited to time-critical reporting due to current issues with Birst server performance (although this is being addressed). We use birst as platform for our analytics product and sell our analytics product to our customer which is a cancer hospital. We use Birst to perform clinical data dta analysis on patient treatment data collected by hospitals. We distribute our analytics product hosted on our cloud environment which is developed on the Birst platform. Birst has a very good UI dashboard module. Visualizer module to explore explore data is very to learn and use, especially for less tech savvy people. Birst connect to upload data which provides push mechanism from source system. Birst has lot of bugs, need to improve on quality. This tool is good for internal use but I will not recommend for ERP type of use. Review: "The more complicated your needs, the harder it is to use Birst." Birst is used across my organization, but particularly by the sales and marketing departments. It is used to track pipeline flow from impressions to revenue. Birst integrates well with Salesforce and external CSV data sources. Birst's support staff is reasonably responsive, if not always able to provide a satisfactory result. Birst contains several sub-systems with similar, but signifcantly incompatible, syntax and functionalities. This leads to confusion and difficulty. Birst provides insufficient control over how charts are rendered and how dashboard prompts are displayed and used. This has lead to significant dissatisfaction on the part of those for whom I've developed dashboards. Significant parts of Birst resemble a relational database, but cannot be made to function like one. This results in jumping through complicated hoops to construct the fact tables for a multiple-relation data system. Birst is excellent for simple reports backed by a straightforward data structure. It is less helpful for complex reports with highly permutative prompts, based on a complicated data structure with poor data hygiene. User Review: "Birsting w/ Data Analytics!" We use Birst to run the majority of our KPI's for the company. We continue to expand the use of Birst on many fronts to ensure we have the proper business analytics and data in front of our teams for key decision making and business performance monitoring. Birsat has enabled us to all speak to the same set of data and information! Stability of the system seems tp have worsened over the last few 6 months. Great for daily sales and order tracking. Birst Review: "Our first cloud Data Warehouse"
[It's] Currently used by the sales org. We will expand this to finance, marketing and product management in the future. One stop shop for ETL | Data model | Visualization. No need to learn a new tool for each layer of the end to end BI process or find resources to manage layers. A perfect fit for a company of our size both in terms of head count and revenue. The library of functions that allow you to digress from the star schema is very useful. For every 5 reports we create, at least one of them will conflict with the dimensional model in place. These functions come in very handy in those situations. Advanced reporting is done using a feature called 'designer'. This is a reporting environment with a user experience that is stuck in the 90s. Its unfortunate that a modern BI tool that goes against the likes of looker and tableau has not put any effort to consolidate report creation into one env. Visualizations are very limited. We are able to answer most of the questions using a table, pie, bar or line charts. But a specific use case that shows customer share of wallet would have been a great fit for Gantt chart but not supported in birst. The things you can do to fancy up charts and tables are also very limited. For example, you cannot selectively display values for the line graph but turn it for the bars in the same chart. Conditional formatting is also very limited in nature. Performance can be very slow sometimes. We don't have a large volume of data - considering that, the reports don't render fast enough. The platform has more features set in ETL/data Model areas than in visualization. If you are an SMB to medium sized company that is starting a BI practice in the IT space, Birst is a great fit. Not too many bells and whistles but does help you achieve simple outcomes very effectively. Birst is not a tool for large scale reporting needs. I would not consider birst if i had to do advanced reporting and if having an extensive access to visualization options is important. Review: "BIRST is an ok MIS product not a high performance OEM product"
BIRST is embedded in multiple products across Hobsons, it is used by several departments. The primary use is to provide insights into education institutional effectiveness in both high school and college level organizations. Where the end user is a member of staff of the institution and requires aggregate data on the performance of their organization be it at a district/campus /school or collective set of institutions. BIRST provides touch points through their customer account management teams to help you get to completion with your projects. BIRST has created a community for users to share solutions to problems with each other. BIRST has a desire to help organizations succeed. BIRST has a quality issue, many of the items delivered in the form of 'code-changes' are often not functioning correctly and existing features break between releases. Reduce the pace of releases until quality assurance is higher, each release costs customers significant amount of resources to test and report back what's broken. BIRST organizational structure often leaves account managers in the customer success group without insights into technology issues and release roadmaps. Frustrating customers who are waiting on fixes. Escalations are slow and take several quarters to be effective. BIRST is suited for organizations that are MIS driven with internal consumption. Where the end result can be clunky and acceptable. BIRST is not suitable for end users that are external where the level of quality needs to be higher, the pace by which changes are handled impact the ability for an organization to commit to customers. Watch Birst Networked BI - no more silos.